Offer condition: Offer available on all Lapland holidays departing between 3rd December and 28th December 2015, booked before 2359hrs on 17th November 2015. Discount code must be used to receive discount. Only one discount code may be used per booking. Do not miss another Monarch Holidays voucher! 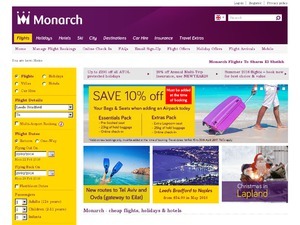 Simply leave your e-mail address and we'll always keep you informed of new vouchers for Monarch Holidays. Offer condition: £50pp off any Florida holiday, no minimum spend. Booking dates: before the 6th of October. Departure dates: before the 10th of October included. Multiple vouchers can't be used in conjunction. Multi use voucher. Offer condition: £15pp off any winter holiday, no minimum spend. Valid/Booking dates: 16th of September to 27th of September - Departure dates: 1st of Nov, until 31st of April included - Multiple vouchers can't be used in conjunction. Multi use voucher. Offer condition: Departure between 1st November and 30th April. Offer condition: Voucher code valid until the 27th of August, on any last-minute holidays to Egypt (packages + villas) departing before the 31st October 2015, granting £50 per couple off. Multiple vouchers can?t be used in conjunction. Multi use voucher. Offer condition: Voucher code valid until the 31st of July, on Greece holidays departing before the 31st of October 2015, granting £20pp off. Excludes long hauls packages, Florida packages and ski holidays packages . Multiple vouchers can?t be used in conjunction. Offer condition: Voucher code valid until the 3rd of July, on Greece holidays (packages + villas) departing between June and October 2015, granting £15pp off. 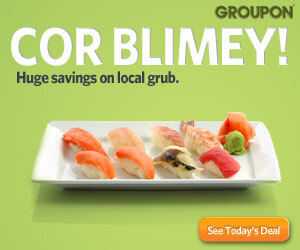 Excludes long hauls packages, Florida packages and ski holidays packages . Multiple vouchers can't be used in conjunction. Multi use voucher. Offer condition: Voucher code valid until the 3rd of July, on summer holidays departing between June and October 2015, granting £10pp off. Excludes ski holidays packages . Multiple vouchers can't be used in conjunction. Offer condition: Voucher code valid until the 19th of June, on summer holidays departing between June and October 2015, and granting £10pp off. Offer condition: This great offer is available on flights travelling between14th June to 22nd October 2014. Offer condition: Only valid on scheduled (ZB flight numbers) flight only bookings when travelling between 1st October 2013 and 31st October 2014. Offer is not valid on charter (MON) flights or package holidays. Discount Code is valid on new bookings only and cannot be applied to existing bookings. Only one discount code can be redeemed per booking. Discount appears as an extra discount in running total and total saved amount. To redeem discount code enter it in the box in the running total on the payment of the booking process. Discount does not apply to infant passengers. Prices are one way per person, including taxes and charges. Subject to availability. Credit card fees apply. Offer condition: Only valid on selected scheduled (ZB flight numbers) flight only bookings. Offer is not valid on charter (MON) flights or package holidays. Prices are one way per person, including taxes and charges. Subject to availability. Credit card fees apply. Offer condition: Travel dates: 1st September 2013 – 18th December 2013. Latest voucher code valid at a time of promo publication was entered to be working from 2015-11-17.